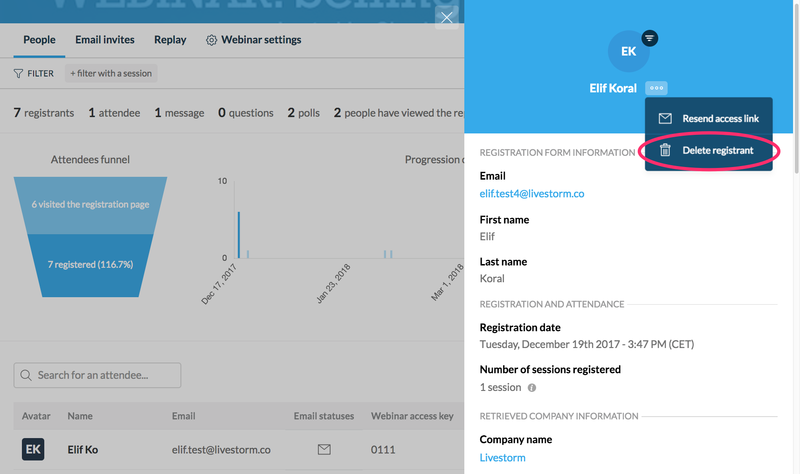 As the host, you can delete registrants yourself directly from your Livestorm dashboard. This is a permanent action and cannot be undone. Click on the name of your registrant to open up their profile. Click "Delete registrant" to delete them permanently. 👉 You can also click on the ••• icon next to the registrant 's name to open the menu and remove them. We hope this update gives you further flexibility in managing your registration process. 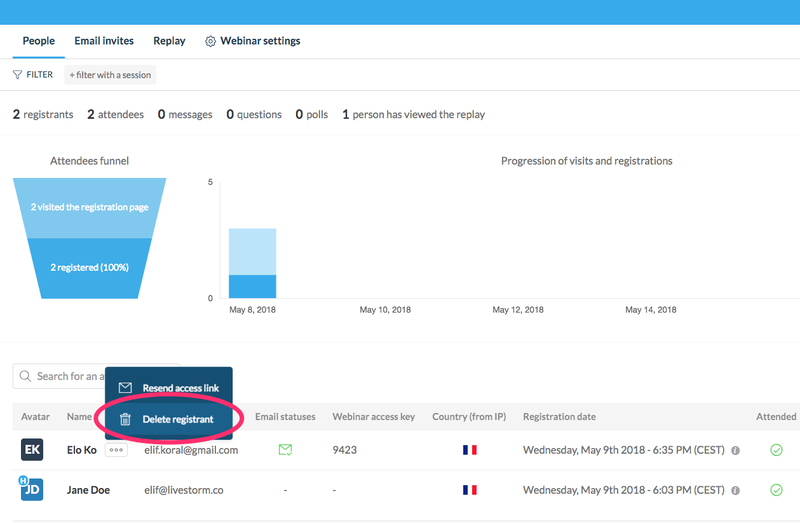 Deleting a registrant is permanent, applies to all sessions of a webinar, and cannot be undone. The removed registrant won't receive any new reminders or follow-up emails from Livestorm. The removed registrant's stats will also be removed from all analytics, reports and graphs. All the removed registrant's room interactions (messages, questions etc. ) will also be deleted. Removed registrants won't be able to connect to the session.